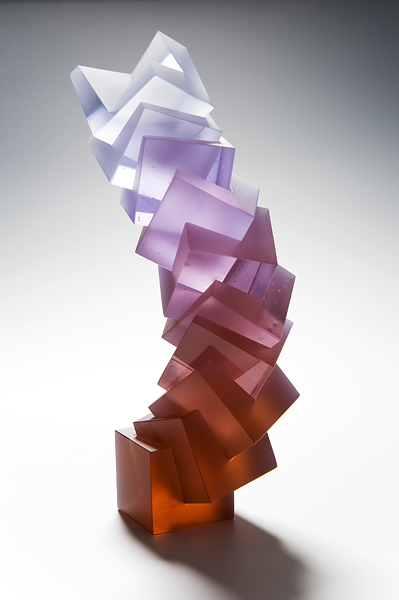 This class will explore the interaction of colour, form, and light in cast glass through hands-on making, demonstrations, discussions and lectures. After an initial open face casting, we will explore both traditional and non-traditional model- and mould making techniques such as sledging, constructed models, and multi-part plaster moulds. We will also cover idea development, working methodologies and creative strategies. Students will design their own projects, focusing on variations in colour density and the optical properties of glass. Demonstrations will include mould making as well as carving, grinding, and polishing glass. There will be lectures on colour and optics, model and mould making, firing and annealing, and cold working, and discussions on professional practice and studio set-up. 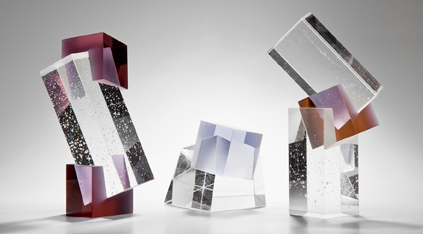 Starting with solid blocks, this class will explore glass as a sculptural material through coldworking. Focusing on multi-part sculptures, we will concentrate on visually accurate angles, lines, and curves. Coldworking basics will be covered as well as more advanced techniques such as sawing, carving, grinding, various surface finishes, and polishing. We will use the machinery in the studio as well as basic, affordable tools and materials, such as glass plates with silicone carbide grits for hand lapping and diamond pads and sandpaper for hand rubbing and finishing. Students will start with drawings and models, then move on to explore efficient ways to coldwork glass. The practical work will be accompanied by lectures, discussions and one-on-one tutorials. 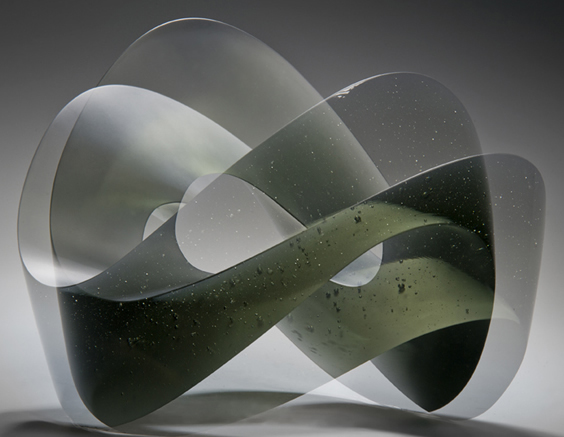 This class will explore the interaction of color, form, and light in glass through lectures, discussion, and hands-on experience. Beginning with a demonstration of mixing glass batch or frit with oxides to achieve personalized colors, the class will focus on variations in color density and the optical properties of glass. We will work with a variety of model-making, casting, and cold-working techniques. Some glassworking experience is helpful, but not required.